Let’s start a new dream thread. 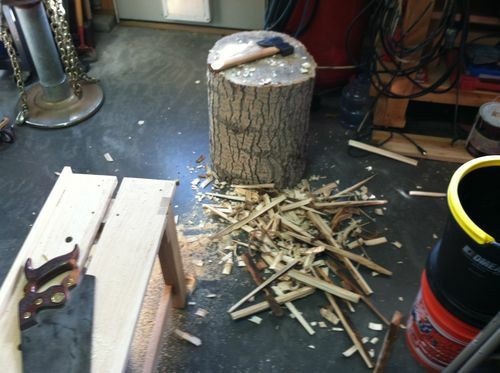 LOL So the other day, I was out splitting a couple Apple logs and Oooopps! 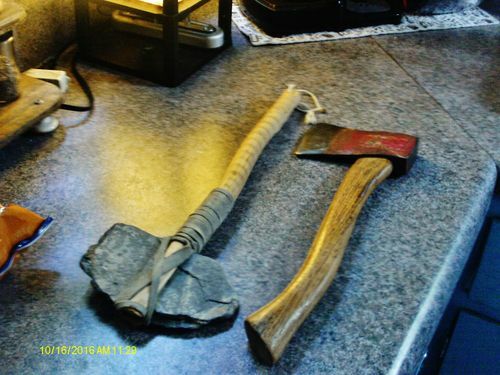 I broke my trusty old hatchet…..;-( So yesterday I stopped at a big yard sale and guess what I found….Yep a new to me hatchet! It’s an older Stanley H122. It was dirty and a little rusty, and I had to pay a whole $5 for it. Little bigger than my old one, maybe that’s a good thing. Last night I cleaned it all up, sharpened it and made a blade guard for it. 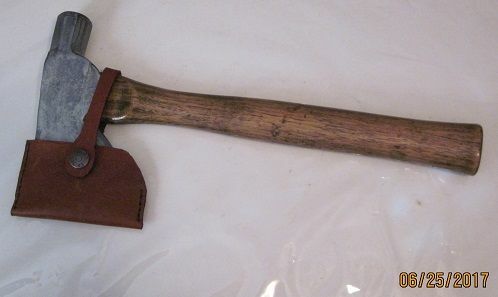 So how about it people, show me your favorite Hatchet! 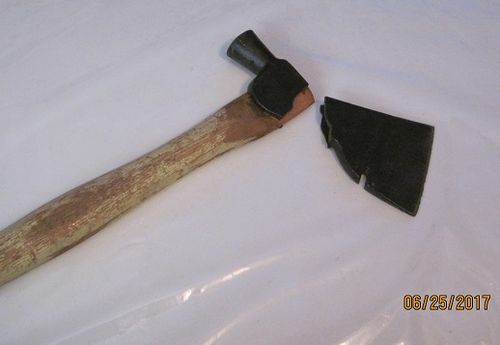 I have an old “Plumb” hatchet that was my Dads. Retired it from use because I was afraid of breaking it. 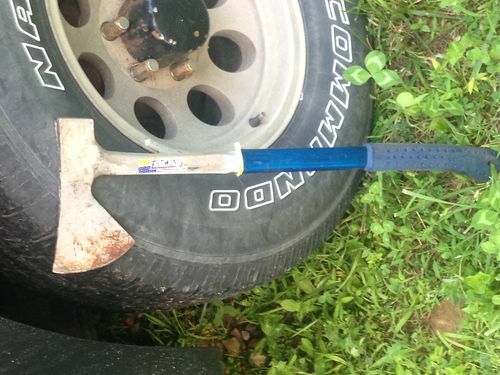 I’ve thought a broad hatchet would be useful. One face is flat for trimming beams. Papadan- any chance u could weld that head back together An give it to a grandkids for light duty stuff? You guys can’t have my Norlund camp ax. 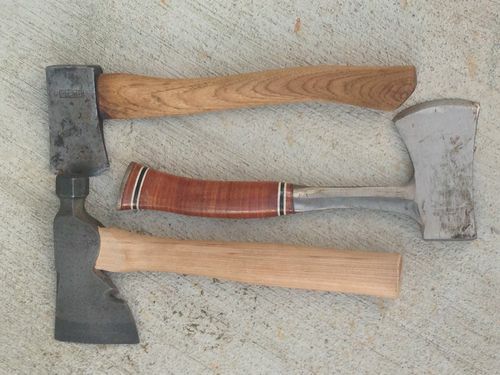 My favorite is a Plumb Boy Scout hand axe from 1951. Still sharp and usable. Bandit, I love that “hawk” but wouldn’t want to use it. JC, my grandsons are 16 and 20 now, they would do way too much damage with a hatchet. I may weld it back together though. It is a little no name I picked up somewhere about 20 years ago. 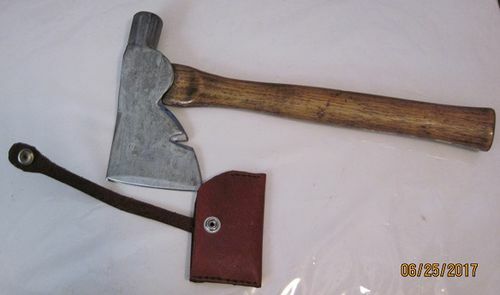 That estwing camp ax is really nice. I have one just like it. Use it all the time. 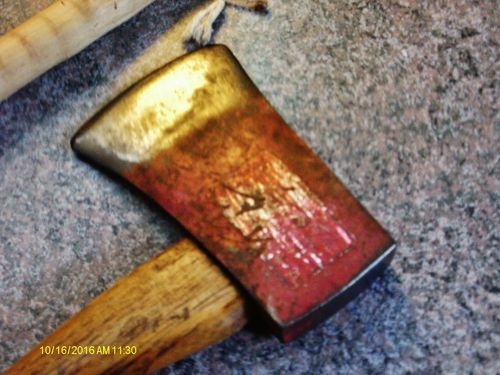 I have an old hewing axe that came to me without a handle. 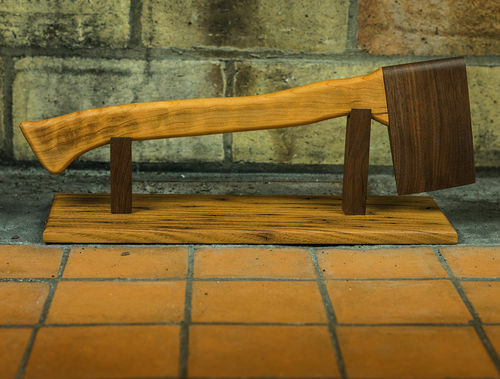 I fashioned a handle for it out of an bigger axe handle. I took this picture of it on the block when I was breaking down some pieces of slabs for a birdhouse.